According to the National Cribs for Kids Program, sleep-related deaths, such as accidental suffocation, asphyxia, or undetermined causes during sleep, are the leading cause of death in infants age one month to one year, and in the United States over 3,500 babies will die unexpectedly each year. Research indicates that many and perhaps most of these deaths are related to an unsafe sleeping environment. 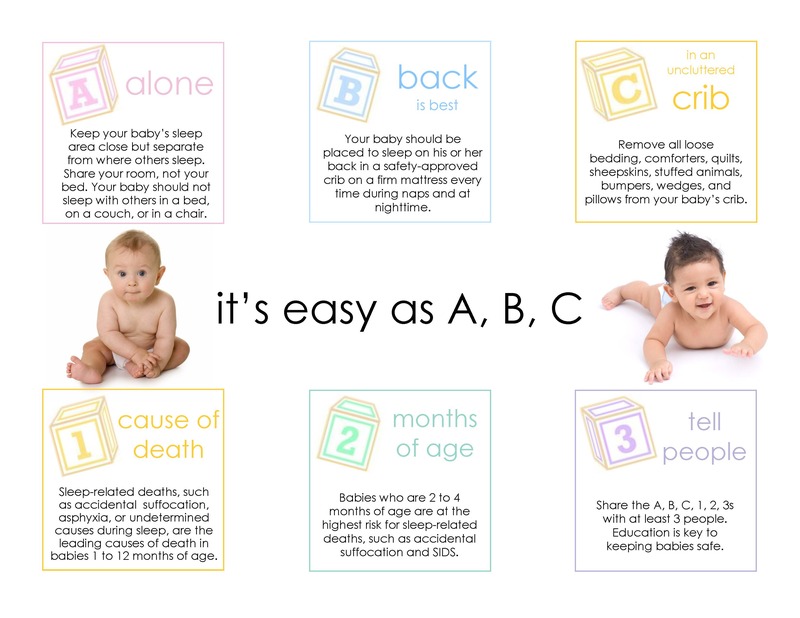 The safest way for an infant to sleep is Alone, on his or her Back, in a safety-approved Crib. CARE for Children, the lead agency for the McKean County Partnership of Safe Kids Pennsylvania, is a partner with Cribs for Kids, a National Infant Safe-Sleep Initiative to promote infant safe sleep practices in McKean County. The program provides families a Cribette portable crib or Pack ‘n Play® if they cannot otherwise afford safe-sleeping environments for their infants. 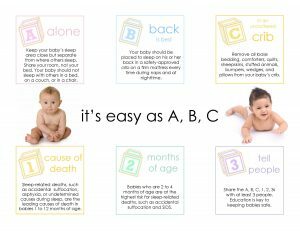 CARE for Children has two Safe Sleep Trainers on staff who provide education and training on proper sleep position and sleep environment for the baby. The program is free for families with demonstrated need who reside in McKean County. Families in need of a crib should be referred by a health care provider, at home visitor, or early childhood program. Families must be trained at home by a safe sleep educator, fill out a survey and questionnaire, and be willing for the safe sleep educator to follow up in 60-90 days. If secondary caregivers (like grandparents) are in need of a safe sleep environment a referral can be made. Decisions are made on a case-by-case basis. One crib per family except in the case of the birth of multiples (twins or triplets). Participation in the Cribs for Kids program is voluntary. You can help! Contributions to CARE for Children’s Cribs for Kids program are welcome. A donation of $100 will help pay for the purchase of a Cribs for Kids® Cribette, sheet, sleep sack, and personalized individual education for families to help their baby sleep safely. Click here to make an online donation now. Please include Cribs for Kids in the comments section. Checks should be made payable to CARE for Children. Please indicate Cribs for Kids on the memo line. For questions or more information regarding the Cribs for Kids program, please email reception@careforchildren.info or call 814-362-4621.